Though written 32 years ago, the dystopian theocratic society described in Margaret Atwood’s striking novel bears an uncanny likeness to what is (and has been for some time) being preached and advocated by far-right political and religious zealots in our country. That is what makes her book so damn scary ~ some aspects of the story have already come true just as she foreshadowed more than three decades ago! Each week it seems more of our nation’s civil liberties are being subverted in some manner by those who wish to impose their predetermined set of ultra-conservative Christian theocratic beliefs on the rest of us. That is not anywhere close what our founders intended. But more importantly, it is dangerous to the health and well-being of a pluralistic society. 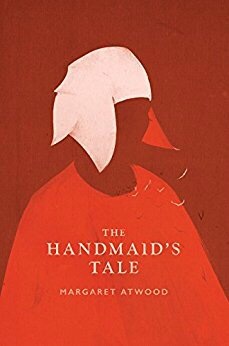 A Handmaid’s Tale is more than a novel, it is a cautionary tale of a dismal future which could be unfolding before our very eyes, especially if we don’t stand up to injustice and intolerance. Some may scoff at this notion, but they apparently miss the point. For one, we must never doubt how intoxicating power can be to humans, whether they are religious or not. Furthermore, one can point to George Orwell’s classic 1984 as an example of a novel that accurately predicted many future events. 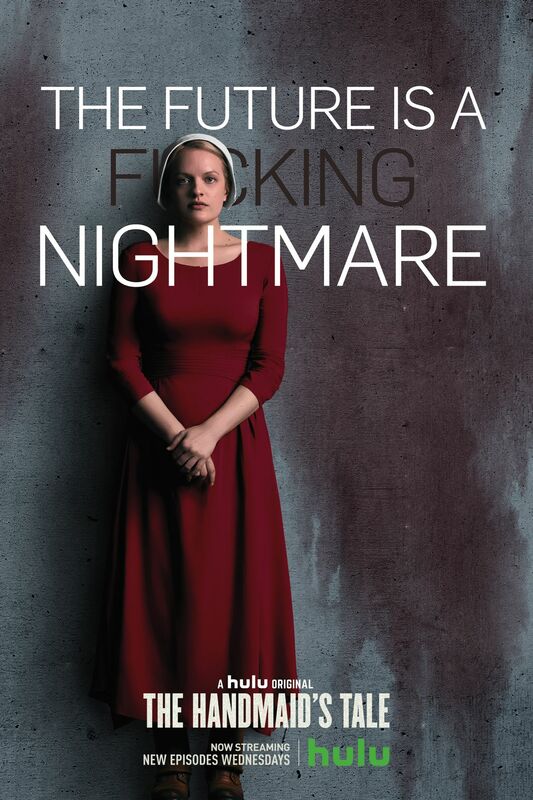 Lastly, those are discriminated against in our society in the name of religion, such as the LGBTQ community and women, can certainly point to many disturbing actions and trends that not so subtly echo occurrences in A Handmaid’s Tale. Ms. Atwood’s book should be required reading in all high schools across America. If for no other reason, to alert young people of the dangers of indifference and lack of civic participation. Peace. This entry was posted in art, book reviews, books, Canada, censorship, civics, civility, Communications, culture, feminism, futurism, human rights, humanity, Labor, literature, Love, Religion, Women, writing and tagged A Handmaid's Tale, fiction, Margaret Atwood, novels. Bookmark the permalink. 1 Response to “A Handmaid’s Tale” – Is fiction becoming reality? I have not read this book yet, and don’t have any firm plans to. I did see a TV report on the TV series based on it recently. It was pointed out that the author consciously used elements of the treatment of women which had actually happened some place, some time, in the world.